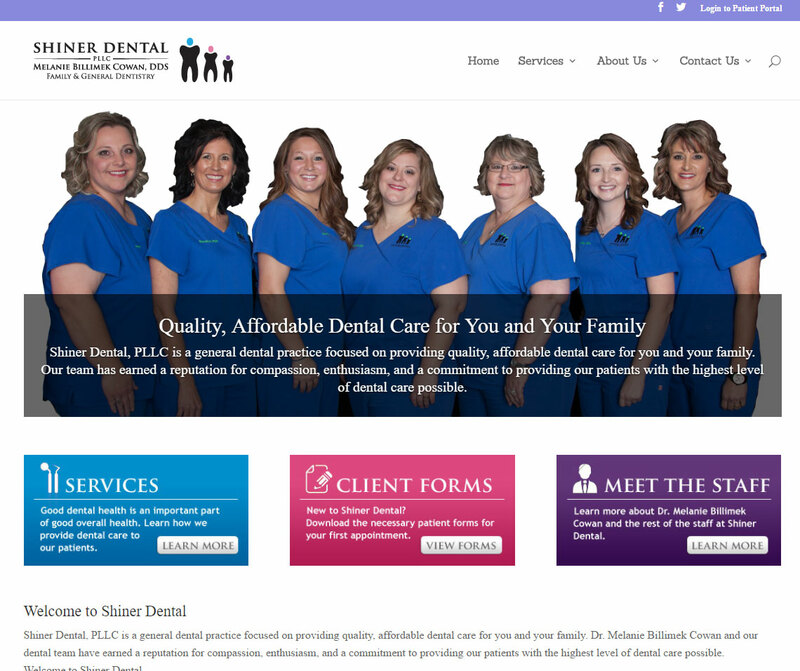 This website was commissioned for Dr. Melanie Cowan of Shiner Dental to enable her patients to access pertinent information about her practice and to download forms that can be completed prior to an appointment and not the day of. Also incorporated is a Patient Portal module which allows for patients to access financial information, appointment times and the ability to request appointments. This project also featured advanced SEO options coupled with Google Webmaster tools integration to facilitate that the Shiner Dental website was easily found in search queries. The Google Knowledge Panel was also taken advantage of so that the most important data was easily found. Business hours, scheduling appointments, driving directions, reviews, contact information and social media links are available at your fingertips in a mobile search. Visit the Shiner Dental website at http://shinerdental.com to explore an example of what Ascent Information Management can do for you.